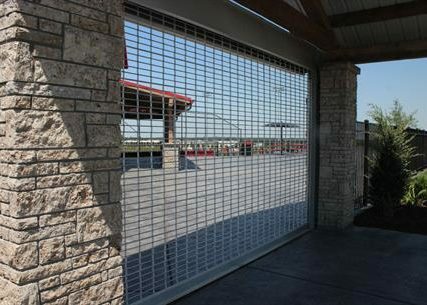 Cookson Security Grilles | Barton Overhead Door, Inc.
Cookson Security Grilles provide security without restricting airflow or light. They are custom built by CornellCookson for you exact opening size. The commercial design is durable and requires little maintenance. The curtain stores in an overhead coil supported by the guide extensions. The grille is available in straight or brick pattern with various sizes. Cookson 5015 Grille is similar to the normal grille with closer spacing and stronger link to provide increased security. 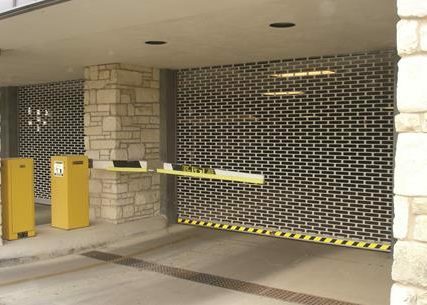 The CrossingGard Grille is designed to release in an emergency, allowing public areas to be secured yet available in an emergency. For heavy-duty situations, the Extreme 300 Grille is the answer. It provides 300,000 maintenance free cycles at twice the speed of a normal grille. 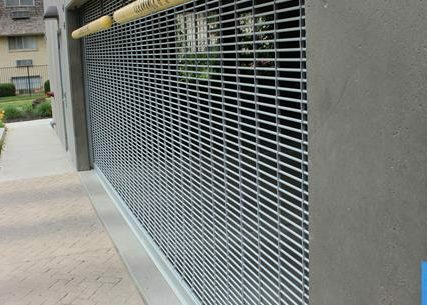 Overall, these grilles work well at providing security in public areas, such as storefronts, parking garages, stadiums, and healthcare. 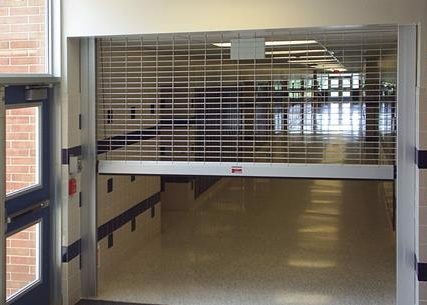 Barton Overhead Door is able to help with installing, repairing, or servicing your security grilles. Please contact us by phone or with the form provided!